Joyce Wycoff Connecting through Art: We're Not in Kansas Anymore, Toto! Yesterday in Redding it was blazing hot. 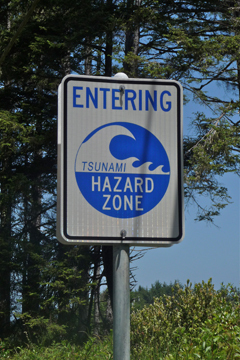 Today on the north coast there are gale force winds ... cold, gale force winds ... and evacuation route signs for when the big one comes. In between there and here were three hours of wildflowers, miles of wild river, tiny towns, new gold claim markers, the oldest continuously used Taoist temple in California and a stop for rocks at agate beach ... the car is now about five pounds heavier. 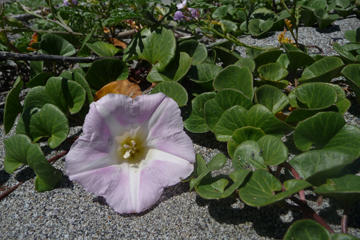 The beach was also covered with beach morning glories. You sound like you're having a wonderful time and I too am happy to be tagging along!